As the Safety Manager in McPherson, KS you will promote safe practices and environmental commitments in alignment with Johns Manville commitments, policies and compliance requirements. If you are a problem solver and thrive in a team-oriented environment where collaboration is fostered, you help motivate others and achieve goals let us know and apply today. You will be generating and fostering innovative ideas for plant strategy, roll out initiatives and ensure everyone at the plant is safe. We are a VPP facility, so you will work closely with the team, management and OSHA on process improvements. 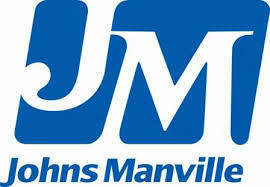 Join our team to today and help grow safety programs at JM. Responsibilities include overseeing/maintaining all safety programs, regulatory programs, and safety policies. All aspects of safety will be the Safety Manager's including: regulatory programs (OSHA), weekly and monthly reporting, Workers Compensation, company safety policies, medical first responder, hazard identification, injury case management and trending, management of change, regulatory/safety training and the safety budget. Ability to lift, carry, push or pull up to and including 50 pounds.